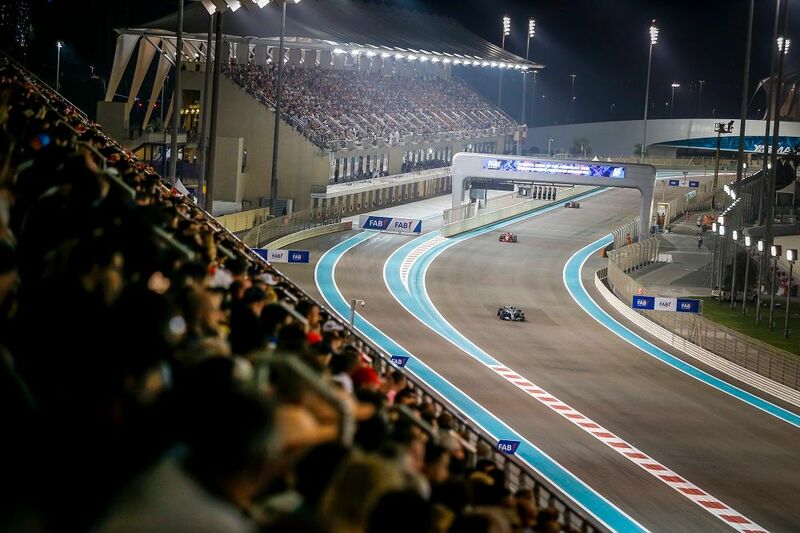 The Yas Marina Circuit hosts F1's only twilight race, creating a magical atmosphere as day turns to night under the lights. 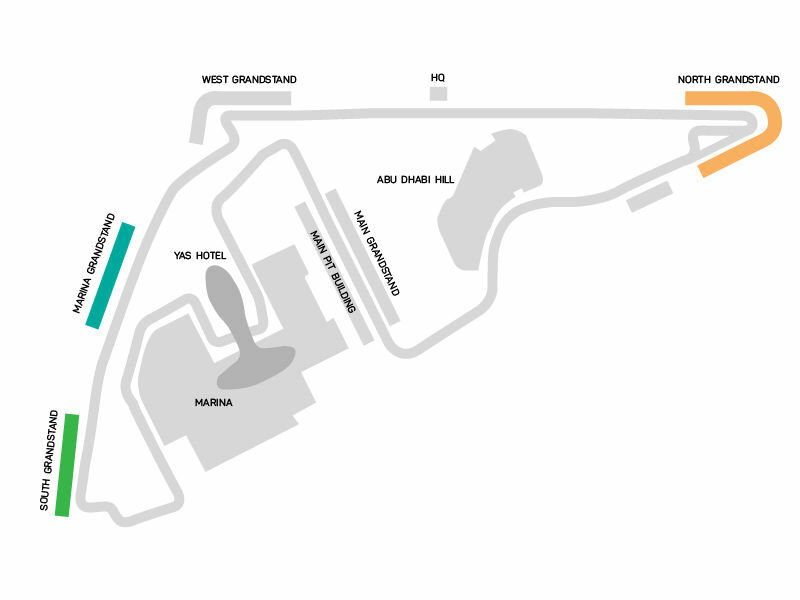 The Yas Marina Circuit has already been admired as an enjoyable and unique circuit that presents challenges like an anti-clockwise direction and an underground pit lane, to the drivers in the last race of the season. 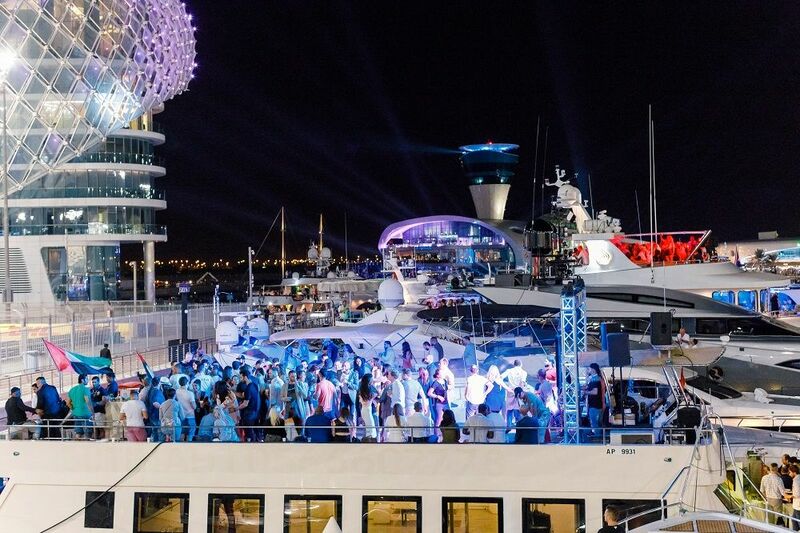 Abu Dhabi Grand Prix makes it all the more exciting with its glamour, hospitality and top-class entertainment. 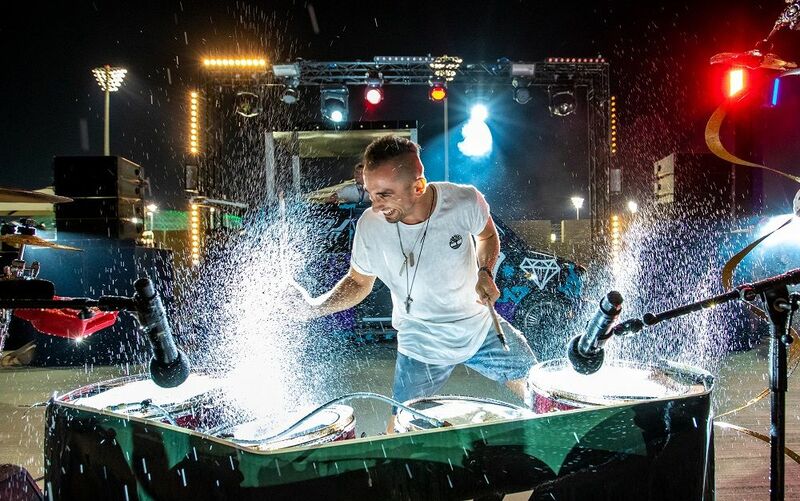 Abu Dhabi Grand Prix is also famous for its celebrity-studded after-parties alongside performances by some of the world’s biggest rock-stars and the celebrations at Yasalam After Race Concerts. The North Grandstand wraps around the Hairpin at Turn 7, facing the circuit’s long Back Straight. A 2-day North Grandstand ticket includes outstanding experiences throughout the racing weekend with access to all entertainment Oasis areas around the Circuit. This package will also grant access to the after race concerts on Thursday, Saturday & Sunday. A 3-day North Grandstand ticket includes outstanding experiences throughout the racing weekend with access to all entertainment Oasis areas around the Circuit. 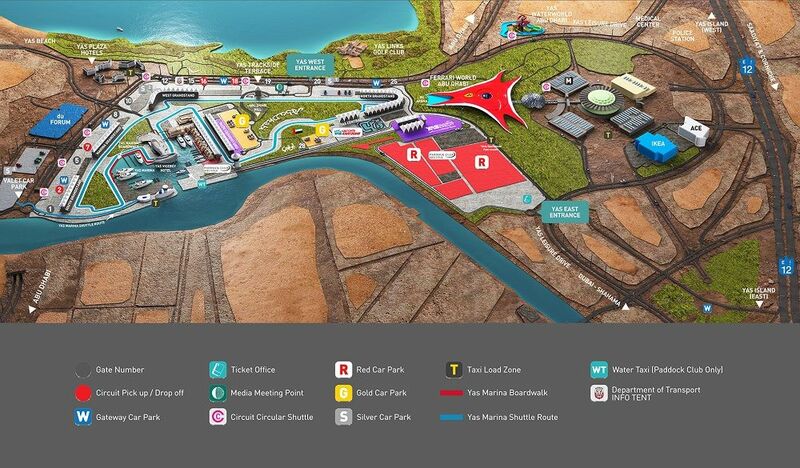 This package will also grant access to the Public Pit Lane Walk (TBC) on the Thursday and to all after race concerts. The South Grandstand stretches alongside the braking zone at the end of the high speed straight that cuts through the pleasant surroundings of the Marina. A 2-day South Grandstand ticket includes outstanding experiences throughout the racing weekend with access to all entertainment Oasis areas around the Circuit. This package will also grant access to after race concerts on Thursday, Saturday & Sunday. 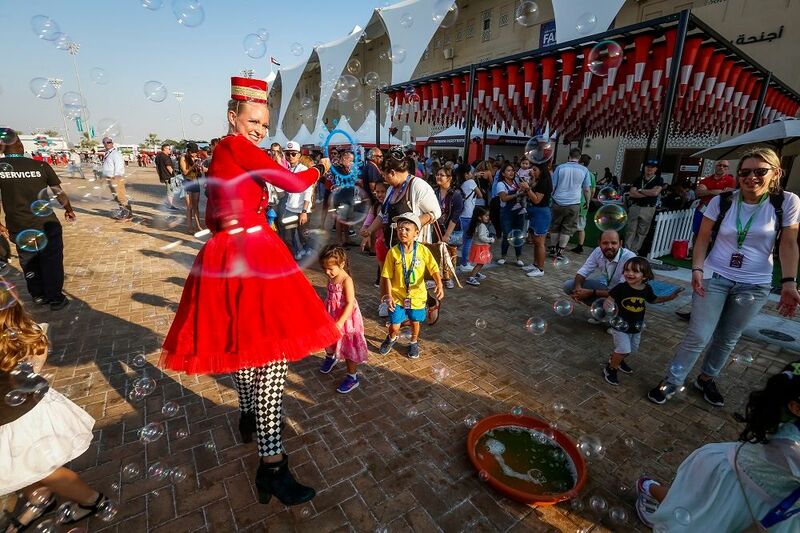 A 3-day South Grandstand ticket includes outstanding experiences throughout the racing weekend with access to all entertainment Oasis areas around the Circuit. This package will also grant access to the Public Pit Lane Walk (TBC) on the Thursday and to all after race concerts. The Marina Grandstand stretches along the outside of the high-speed straight that cuts through the pleasant surroundings of the Marina. 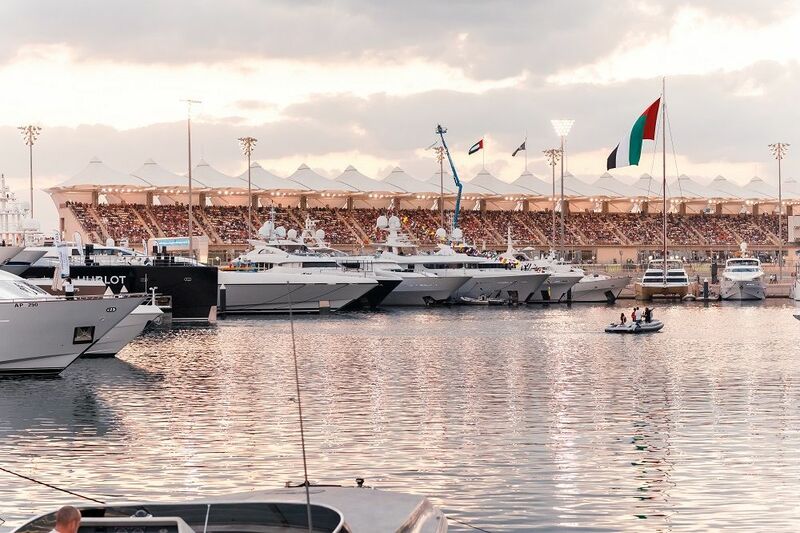 A 2-day Marina Grandstand ticket includes outstanding experiences throughout the racing weekend with access to all entertainment Oasis areas around the Circuit. This package will also grant access to after race concerts on Thursday, Saturday and Sunday. 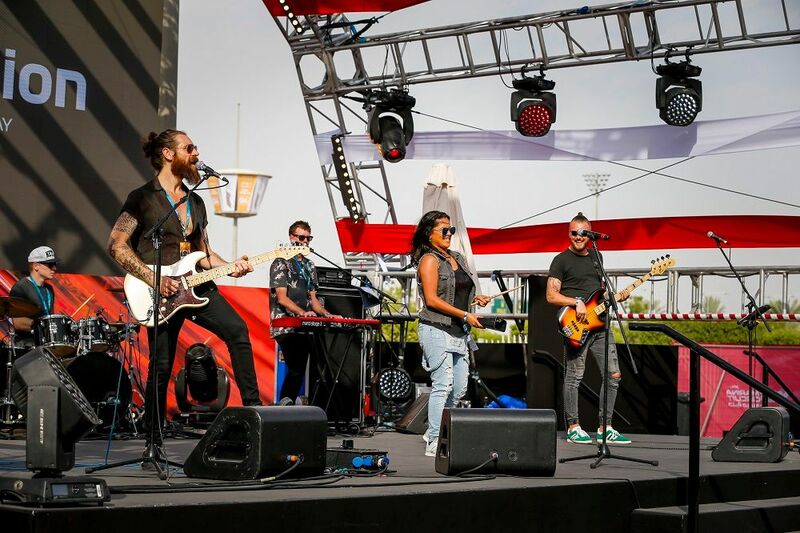 A 3-day Marina Grandstand ticket includes outstanding experiences throughout the racing weekend with access to all entertainment Oasis areas around the Circuit. This package will also grant access to the Public Pit Lane Walk on Thursday (TBC) and to all after race concerts. Answer: You will receive a purchase confirmation from us through email as soon as you have made the purchase. We will get in touch with you post your booking and sufficiently in advance of the event, on how to collect your physical pass / E-ticket by producing the purchase confirmation and identification proof. Kindly note that the email itself is not valid for direct entry into the venue. Please ensure you have filled in the correct email and phone number on the registration page and on the purchase page, and that we can contact you on the same coordinates. Answer: Details on the same will be announced soon. 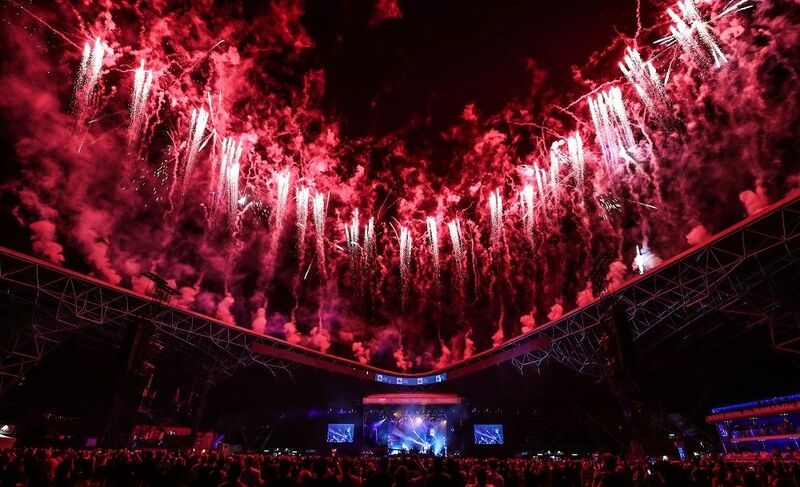 Answer: The After-Race Concerts are exclusive to FORMULA1 2019 ETIHAD AIRWAYS ABU DHABI GRAND PRIX ticket holders. 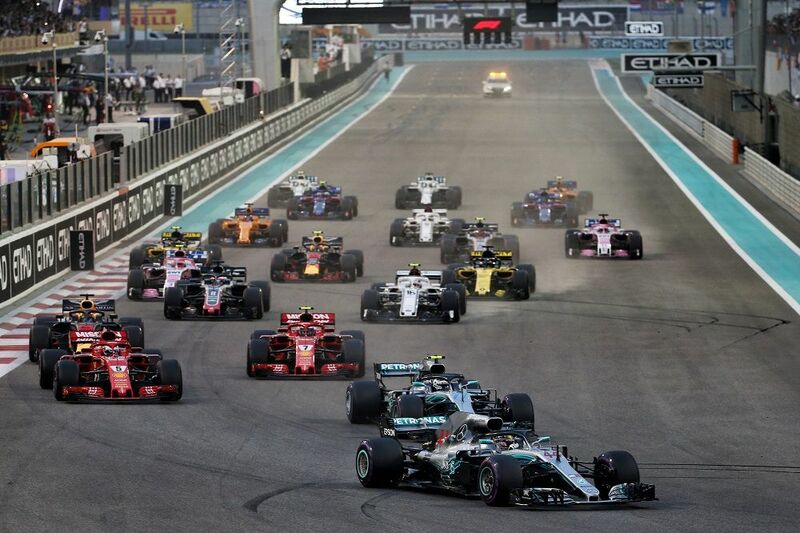 You can buy three-day (Friday, Saturday, Sunday), two-day (Saturday, Sunday) and one-day (Friday) tickets to the FORMULA 1 2019 ETIHAD AIRWAYS ABU DHABI GRAND PRIX. Answer: Artist details will be announced soon. How will be the seating arrangement? Answer: You will be allotted seats in your chosen category. Seat numbers will be allotted by the organizer and mentioned in the entry tickets which we will send you. Tickets are strictly non-refundable, non-transferable and not for resale. No Ticket shall be sold or offered for sale for any form or fee or reward without the prior written consent of ADMM (Abu Dhabi Motorsports Management LLC). Each Entrant must not, without the prior written consent of ADMM (Abu Dhabi Motorsports Management LLC), resell, transfer (for commercial or personal gain) or distribute any Ticket(s) for an Event (above their face value), or purchase or obtain Ticket(s) from or through any commercial agent or company other than ADMM (Abu Dhabi Motorsports Management LLC) or an Authorised Agent. Ticket(s) may not be used for advertising, promotion, trade incentives or other commercial purposes including, but not limited to, raffles, contests, sweepstakes, prizes, lotteries or draws to enhance the demand for other goods and services or packaged with hospitality or other products without the express written consent of ADMM (Abu Dhabi Motorsports Management LLC) and FOWC (Formula One World Championship Limited), which may attach any conditions it sees fit. Such consent may be withheld at ADMM’s (Abu Dhabi Motorsports Management LLC) sole and absolute discretion. 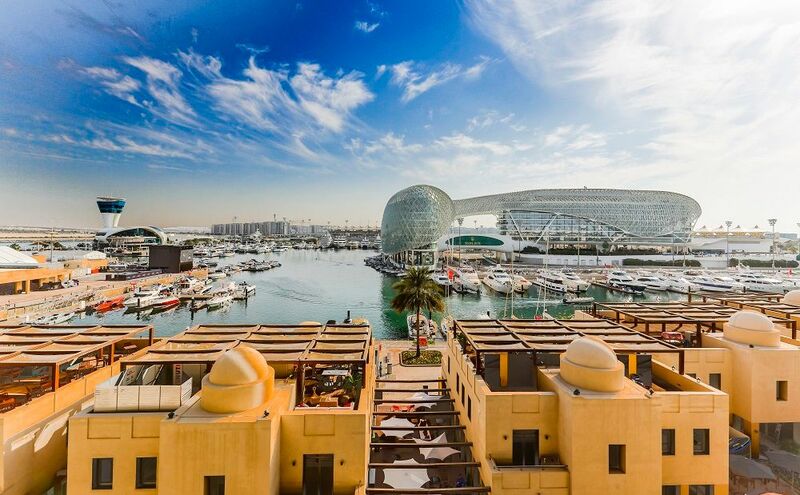 ADMM (Abu Dhabi Motorsports Management LLC) reserves the right to determine at any time with or without notice all seating allocations, viewing areas and other conveniences and attractions in relation to any particular Event. Each Entrant must not place any reliance on Circuit maps or other impressions as they are provided only as an approximate guide to indicate the locations of seating, viewing areas and other conveniences and attractions. In relation to certain Events, ADMM (Abu Dhabi Motorsports Management LLC) may require that each Entrant who is under eighteen (18) years of age at the time of purchase may only purchase Ticket(s) under the supervision and with the permission of his or her parent(s) or guardian(s) who will be solely responsible for advising such Entrant of these Conditions of Entry. In addition, ADMM (Abu Dhabi Motorsports Management LLC) may require that each Entrant who is under eighteen (18) years of age may not permitted to attend an Event, enter into and/or remain at the Circuit unless he or she is accompanied by a parent or guardian who is over eighteen (18) years of age. Each Entrant who elects to have their Tickets for an Event delivered by courier will bear all courier, delivery and/or postal charges incurred relation or ancillary thereto. ADMM (Abu Dhabi Motorsports Management LLC) accepts no responsibility for Tickets lost or misplaced by the courier company or postal service. If any Entrant has elected to have their Ticket(s) delivered by courier or postal service and has not received their Ticket(s) within seven (7) days of the Event commencement date, it is the Entrant’s responsibility to report this to the Booking Hotline. The original Ticket(s) will be cancelled and replacement Ticket(s) will be either couriered (if sufficient time is available to do so) or made available for collection. Courier charges for the replacement of misplaced Ticket(s) will be at the Entrant’s expense. In relation to each Event, ADMM (Abu Dhabi Motorsports Management LLC) reserves the right to, without notice and in any circumstances, add, withdraw, reschedule or substitute any particular person, group, car, race, team or personality from the Event and to amend Ticket prices, seating arrangements and audience capacity. any other item for which an Entrant does not, in the opinion of ADMM (Abu Dhabi Motorsports Management LLC), have an ordinary and reasonable use and which may be used to damage or deface property, buildings or any part of the Circuit and surrounding areas, hinder, obstruct or interrupt an Event or adversely affect public safety, any goods or Tickets for the purpose of sale or commercial distribution, any dangerous goods and any other item prohibited by law. Restrictions apply to items which Entrants bring into the Circuit which include professional video cameras and photography cameras and food and beverages. Each Entrant for an Event acknowledges and accepts that some seats may have restricted viewing or leg room and that natural or man-made obstructions in some areas may impede viewing. ADMM (Abu Dhabi Motorsports Management LLC) reserves the right at its sole discretion to issue last minute changes to seating arrangements for Events which may result in Entrant(s) being assigned seats with obstructed views or restricted leg room. Should ADMM (Abu Dhabi Motorsports Management LLC) issue any significant changes to an Entrant’s reserved seating arrangements, ADMM (Abu Dhabi Motorsports Management LLC) will notify the Entrant(s) directly of such changes and endeavor to provide alternative seating arrangements. Should the alternative seating arrangements not be satisfactory, ADMM (Abu Dhabi Motorsports Management LLC) will offer such Entrant(s) the opportunity to exchange their Ticket(s) for a Ticket(s) of the same or lower face value or to another seating area. If this is still not acceptable, ADMM (Abu Dhabi Motorsports Management LLC) will refund the cost of the Ticket(s) (excluding the cost of any delivery or associated expenses).